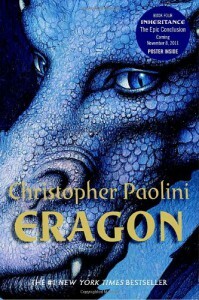 Eragon is a young man who finds himself embroiled in a struggle between the Empire in which he lives and those resisting it. A long journey ensues, full of adventure, magic, fighting and discovery. Many interesting and different characters appear, all with an important part to play. The writing is nicely balanced between description and plot and the whole experience is entertaining, enjoyable and engaging. Highly recommended.